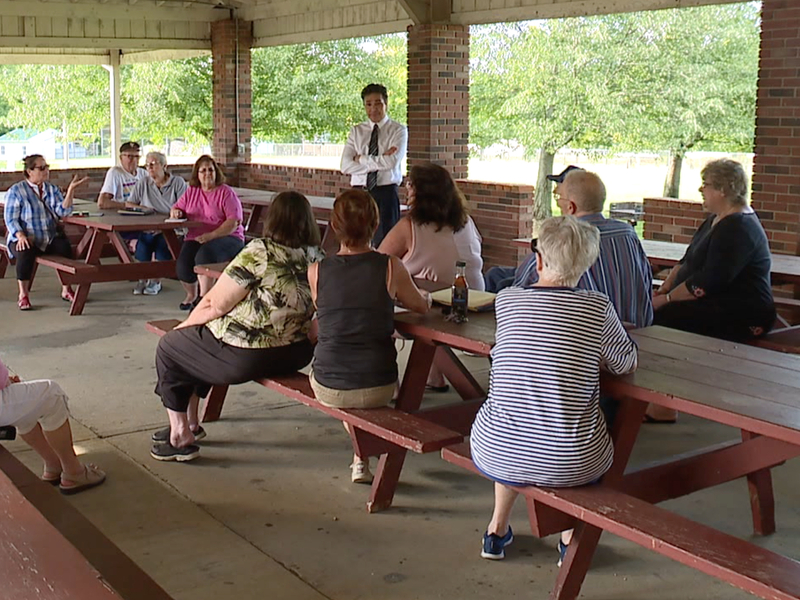 Dozens of manufactured homeowners living in the Troy Oaks Homes community are upset with increasing fees and responsibilities recently imposed by the new property owner. The manufactured home park was purchased by Troy Oaks & Residential Community LLC, in September 2017, and residents report the company quickly increased the rent on lots at the park by $50 a month, and then imposed a new $45 a month fee for water. Homeowners said they've now also been subjected to a host of new rules, and if the rules weren't followed carefully, the homeowner could face eviction. Homeowners said they were never warned in advanced, or consulted before the new ownership made its decision. Troy Oaks resident Dean Weinhardt said the new fees and rules are forcing some on fixed incomes to sell their homes and move. Weinhardt pointed to reports that indicated large companies are buying up mobile and manufactured home parks across the country and hitting homeowners in the pocketbook. "It’s a slap in the face to everybody here including me," Weinhardt said. "They all buy trailer parks for $3.5 million or whatever, and then they immediately raise the rent. Then they buy a water company, and then they come down on the people, either put up or get out." News 5 contacted Troy Oaks LLC, and its general manager explained the increased fees and water bills were needed to fund critical neighborhood infrastructure improvements. The company said the funds would be used for a new club house, roadways, flood control and water pressure service improvements. But Weinhardt believes better state laws are needed to protect longtime homeowners living in Ohio mobile and manufactured home parks. Weinhardt said states like Florida and Georgia provide better protection from he what he called unfair increases imposed by owners who have bought up multiple parks in multiple states. "Ohio law on manufactured homes is one of the most antiquated laws on the books," Weinhardt said. Troy Oaks Homes LLC management said it is now willing to meet with small groups of residents to discuss their concerns, and get further input on recent fee hikes.